This region is located at the foothills of Serra da Nave, between the rivers Paiva and Távora, in the Valley of Varosa. It shows traces of human occupation since proto-history. Romans, Swabians and Visigoths have passed through this region, the Cister Monks chose it to build some of the most impressive architectonical examples of their order. The monastery of S.João da Tarouca is a good example, built in the 12th century, the first in the Iberian Peninsula. Birthplace of the writer Aquilino Ribeiro, it produces some of the best wines and sparkling wines in Portugal. 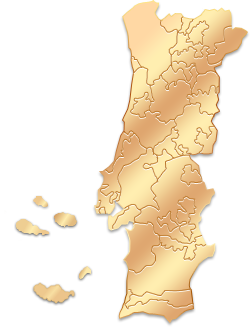 The vineyards area, with about 2100 hectares and including the municipalities of Lamego, Tarouca, Moimenta da Beira, Armamar, Tabuaço, S. João da Pesqueira, Sernancelhe and Penedono, is influenced by the harsh climate. Its unique climate and soil conditions, with mostly granitic soils, poor in limestone, sometimes schist and acid, with marked erosion, with a continental dry temperate clime, harsh winters, make this region to be special for the production of wines, although the land ownership is quite divided. With regard to the white wines, the natural acidity, the intense aroma and the citrus character, bright and fresh, allow the enhancement of their quality, but in a similar way, the red wines have that delicacy in the aroma and a noble body, achieving excellent aromas with time. The predominant grape varieties are Bical, Cerceal, Fernão Pires, Gouveio and Malvasia Fina in the whites, and Tinta Barroca, Tinta Roriz, Touriga Franca and Touriga Nacional in the red ones. The French varieties Chardonnay and Pinot Noir reflect the quality of the sparkling wines, which have an almost centennial presence in the region. This was the first national wine region to be demarcated for the production of sparkling DOC wine, in 1989. The region Távora-Varosa is a small region known for the production of sparkling wines and for its characteristics. The Douro Valley landscape shares the land, the sky, the water and the farms. It’s a region full of slopes with terraces made by man. These terraces, made of shale, retain the water and maintain the soil at a constant temperature. We recommend you to visit the region at the time of the harvest, in mid-September and mid-October. Peso da Régua Station, +351 806 208 208. More info. : www.cp.pt. Peso da Régua Station, +351 259309 818. Lamego, terminal in the backside of the Museum. Lamego: From the city of Porto , take the A3 / E1 towards E82 / Valença / Braga / V. Real / A4 / Valongo, take the exit towards Vila Real / Valongo / Ermesinde , take the exit 18 towards Mesão Frio / Régua, take the EN (national road) 101 and then the EN (national road) 108 to Peso da Régua and then through EN (national road) 2 to Lamego. From Lisbon take the A1 to Porto and in the city of Porto take the A3 / E1 towards E82 / Valença / Braga / V. Real / A4 / Valongo, take the exit towards Vila Real / Valongo / Ermesinde, take the exit 18 towards Mesão Frio / Régua, take the EN (national road) 101 and then the EN (national road) 108 to Peso da Régua and then through EN (national road) 2 to Lamego . Viseu: From Porto take the A1/Lisboa , take exit 16 to merge onto A25 towards Viseu, take exit 18 for N231 towards Viseu / Nelas / Seia and later by N1 to Viseu. From Lisbon take the A1/Porto, take exit 13 to merge onto E801 / IP3 towards Viseu / Coimbra, exit N2 towards Viseu Center / V. Chã de Sá to Viseu. Tourism office of Lamego, Avenida Visconde Guedes Teixeira, 254 +351 612005.